Like a chorus of colorful cicadas, wireless devices like those made by Estimote will soon fill the 2.4 GHz airwaves of shopping centers, museums, art galleries and public spaces around the world with their invisible invitations to connect, personalize and learn. 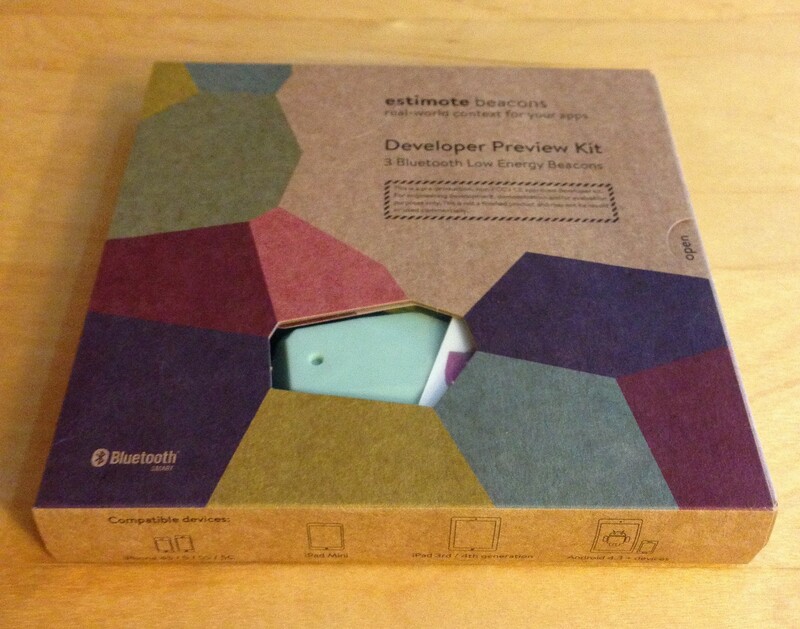 I decided to begin my “internet of things” journey by ordering the Estimote Beacons Developer Preview Kit, total cost $99 (not including shipping) earlier this week. Within a few days, the beacons arrived as promised in a natural, recycled-looking cardboard box with colorful patterns adorning the exterior. Bonus points: Made in Krakow, Poland. 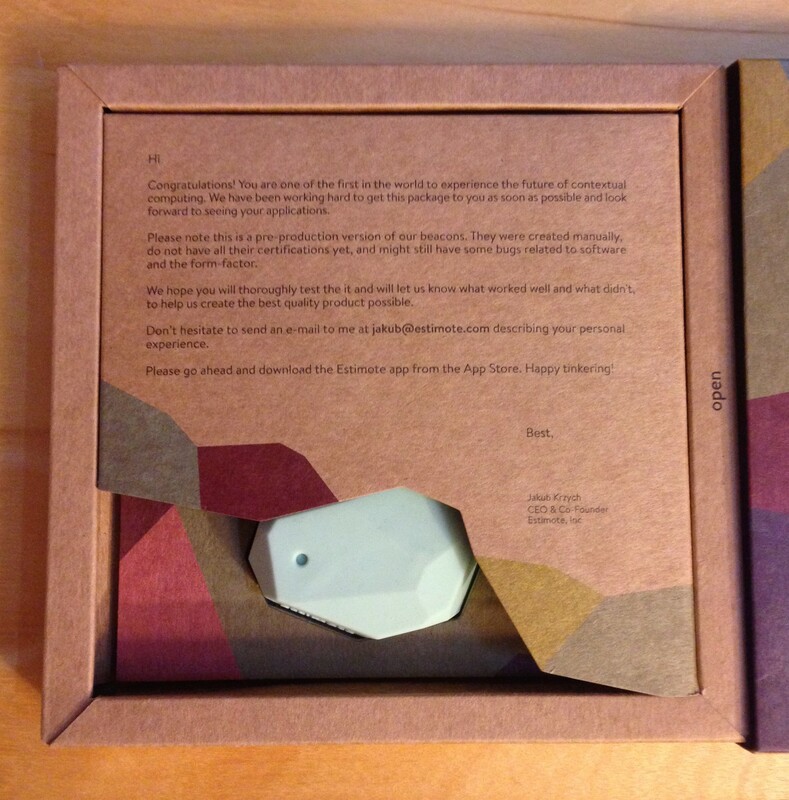 Opening the box, I am greeted with a message from Estimote’s CEO and Co-founder Jakub Krzych reminding the me that these beacons are still under development and may have some bugs. “Congratulations, you are one of the first in the world to experience the future of contextual computing!” Yay! 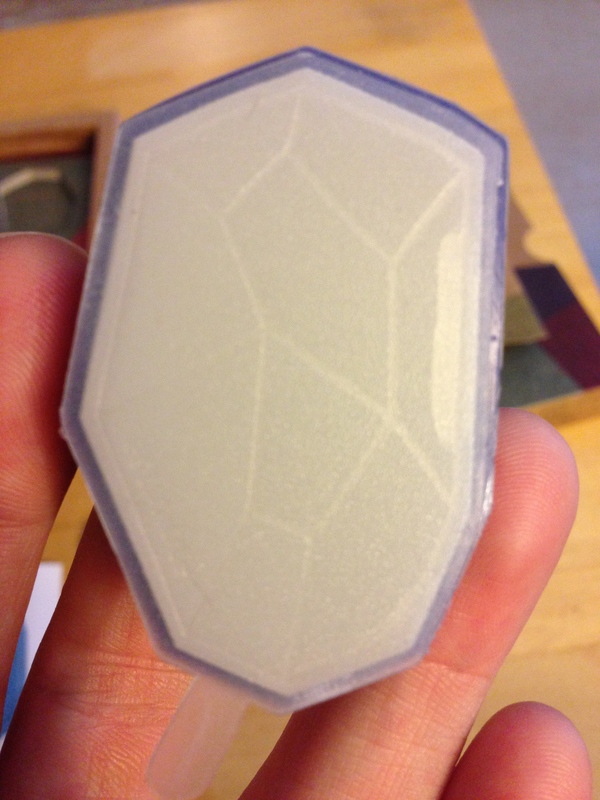 Proceeding further,we have three multi-colored beacons, a pin and an Estimote sticker. The beacons themselves are made from silicon and have a familiar “kitchen-utensil grip” rubber feeling to them. If you happen to get your ‘motes dirty you are encouraged to bathe them in warm water. 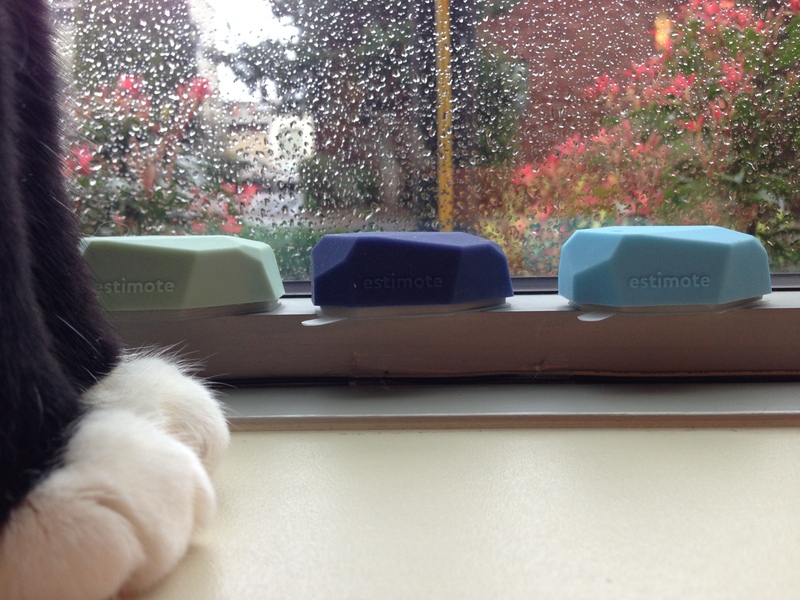 We may soon see retailers and restaurants posting “Estimote Inside” stickers on the windows to alert shoppers that beacons are silently chirping inside. Each ‘mote is perhaps the size of a small box of matches and seems deliberately designed to provoke conversation. Consumers who run across devices like these inside stores will almost certainly ask what on earth they are, perhaps encouraging opportunities to educate the greater public as to the uses and benefits of this technology (personalization, rapid look up of user reviews, instant access to product information, to name a few). Technically speaking, an Estimote is a miniature self-contained micro-computer running on a 32-bit ARM Cortex MD CPU along with a Bluetooth LE radio and antennae. Under ideal conditions, the ‘mote can broadcast signal up to 230 feet and will last 2 years on a single coin-cell battery. The amazing battery life is why these devices are called “Low Energy.” If you are interested in more detailed technical info, watch this series of talks from Bluetooth World. The bottom of the beacon has a sticky “Gecko” cover which you can pull off in order to slap them on surfaces. I will be leaving my Gecko cover in place because I do not want my beacons to be coated in cat hair. So that is it for my unboxing. 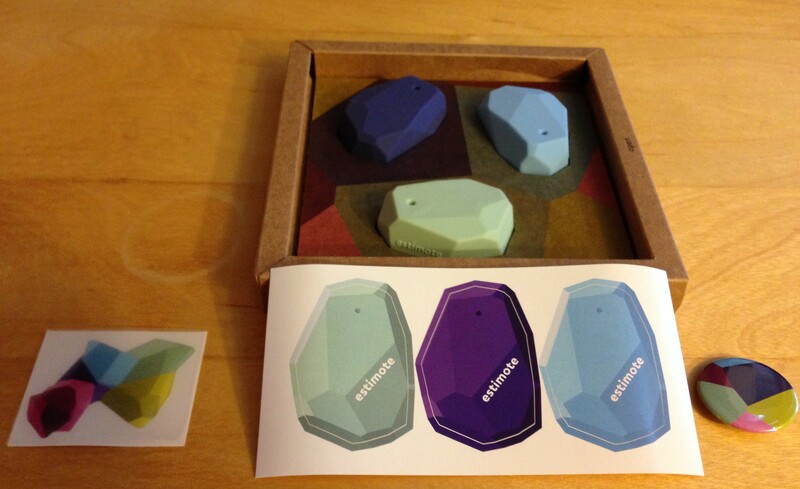 I am eager to start developing some example applications using Estimote’s provided Android and iOS SDKs. 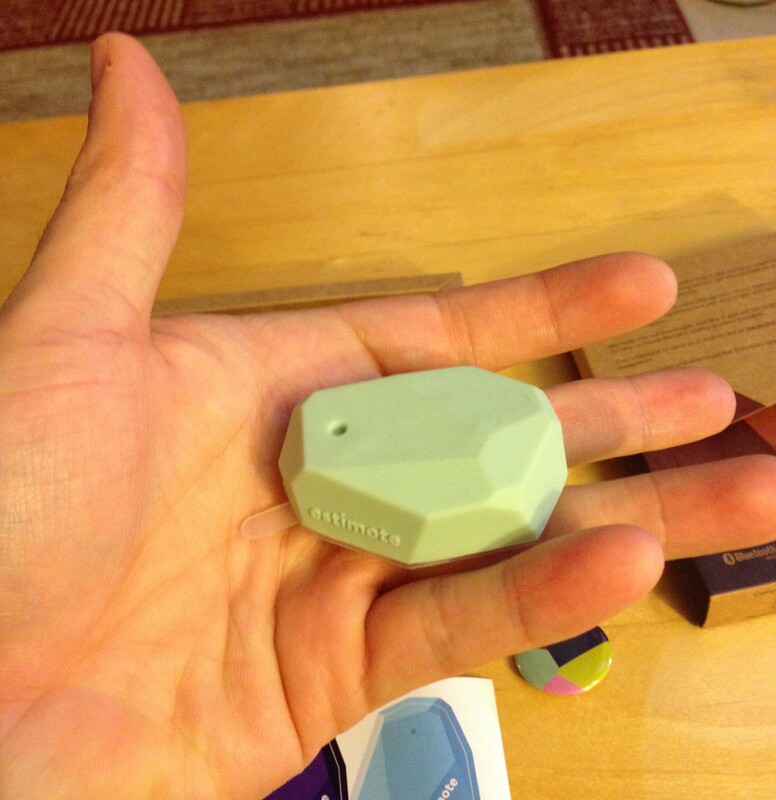 My intent is to pair the Estimote with some sort of web API calls and see what I can come up with and share!